What is so interesting is regardless of “the work” that I have done on my journey to where I am today, there are still fragments of my past that poke at me. Writing has not only been therapeutic in calling forward more healing, my pilgrimage has provided the opportunity to calm my Gemini mind, ease my worries and fears of the future and bring more peace with what was and is, into my heart. Since the brain is like Velcro for negative experiences it can be hard to let go of our past. The mind likes to anchor itself to what was known and the negative memories replay as a form of self-protection….. to never let it happen again. Once we are able to fully heal our beliefs about ourselves, the trauma and release the negative experiences, we find peace and our mind is clear. As a result of this, I now find myself at a place once again where I feel like I do not know anything AND I am really happy about that! Many years ago, one of my mentors advised to always be prepared to not know. This frees the mind, body and spirit from limitation allowing consciousness to evolve thus opening our hearts to receive more GoOD into our life. So therefore, it becomes a practice to create “not knowing” as exciting – redefine that FEAR! Not knowing can be scary. It creates anxiety which then causes worry to set in. Worry is a symptom of the deeper-rooted fear when we tread into the unknown. Keep a worry list for the next couple of weeks. The minute you start to worry write it down. 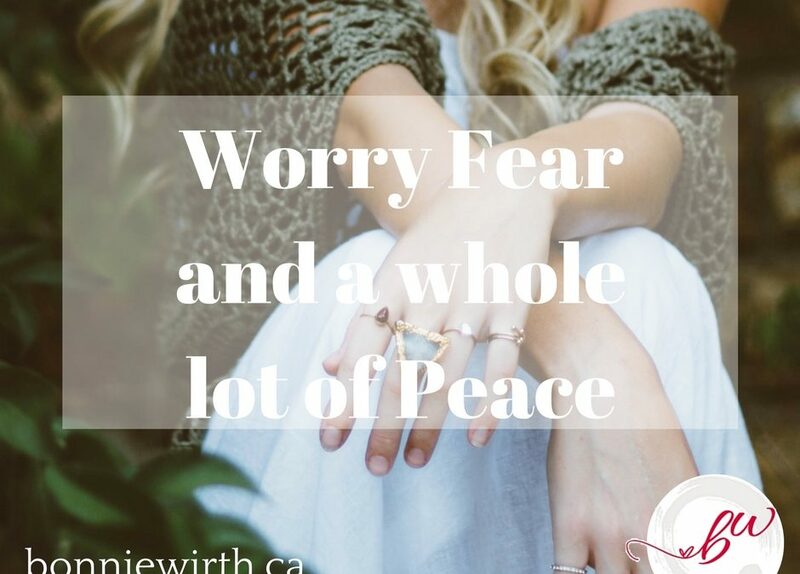 This not only helps release the heavy energy that often keeps us stuck, but at the end of the two weeks you will notice none of the worries were warranted. Your brain will have proof that worry is a waste of energy. Spend more time in the present moment. This is the only time and place where we can be and experience a sense of control over. Say yes to the feelings you feel. Happy, sad, worried or scared. Surrender and let it in. Observe the feeling in your mind and body without labelling or judging it. Breathe deep and let it in – just observe it for maybe a minute or two until the feeling vanishes. Byacknowledging and receiving the presence of the emotion and its energy it becomes expressed into the Universe and not suppressed within us. There are many ways we can use to stop worrying. The important thing is to consistently use them until the new behavior becomes a healthy heart-happy habit AND SO IT IS!